A final raucous farewell to electro's best ever behemoths. Live albums are curious creatures. They tend to fall into one of two camps. Either they are shameless cash-ins, the last promotional refuge of corporate, contractually-bound artists or else, they are genuine one-offs, career-defining artefacts which serve to pull in the naysayer and the interested outsider. 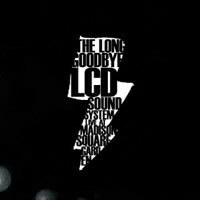 LCD Soundsystem's The Long Goodbye, thankfully, falls into the latter camp. Twenty eight songs over two hours plus. You get a decent share from each album and also the natural ebb and flow of a real concert, making you feel like you were there and really part of the event. Uptempo, poppy numbers such as “Us Vs. Them” and “Drunk Girls” pepper the set with staccato rhythm patterns, uppercuts of lead guitar parts and swooping bass playing. In between, more reflective and stately pieces such as the 45:33 intro and “All My Friends” provide welcome lightness and breathing space. This gives those new to LCD Soundsystem an idea of the true breadth and range of the band's talent and reminds those of us who are long term fans why we liked them in the first place. They know when to come at you with a full-on sonic attack and they know also when to ease back on the gas, allow the rhythm to settle the mind and let you really get into their sound. This is due in no small part to the workings of mainman James Murphy. Murphy has proved himself a thoughtful and witty lyricist over the course of his career. It's only really on this album, though, that he appears truly comfortable in the role of showman and frontman, having great fun barking out lyrics like short sharp commands (check out “Drunk Girls”) which band and audience both respond to with great gusto. The crowd roars the lyrics back at him, wowing and goading him into even greater displays of showmanship and the band, always tight throughout the set, really step up to the plate, each member fighting for their own little moment in the sun and creating a true sonic force to be reckoned with in doing so. One imagines fingers being bled down to the bone on fretboards and limbs flying out from behind synths and drum kits as desire and pure naked sonic joy took over during the course of this concert. The strong funk muscle at the heart of LCD Soundsystem comes across particularly well on “Daft Punk Is Playing at My House” and “Bye Bye Bayou”. Both these tracks have real elastic-y, head-banging bass lines which are given full reign here. This is also true of what is arguably LCD Soundsystem's best known song, “Someone Great”. A triumph in its original recorded form, it sounds even sharper and better here. It has been sped up slightly and, therefore, the bass and treble are even stronger and more resonant here, a fact which the audience is very quick to pick up on. Just hear them roar the central refrain back at James Murphy – that's clearly not dubbed on applause! If it would be possible to make one minor criticism, there are some songs, such as “Get Innocuous”, which are too tenderly handled and not changed enough from their original studio incarnations. Surely the whole idea of playing your songs live is to breathe new life into them, make them stand on their own two sonic feet in brand new contexts, not simply reproduce them as they already were? “Movement”, too, is another good example of this. Yes guys, you may well be there to Shut Up and Play the Hits, but don't be too faithful to them, or else people will Stay at Home and Play the Albums. A bit more minimalism and checking out of new directions would not go amiss for any future revivals. The one trump card throughout all the songs, though, is James Murphy. He really pours himself into every song, bringing out true humour, irony empathy and pathos in the words. Murphy quite clearly wants to be David Byrne, Iggy Pop, James Brown and Freddie Mercury all rolled into one. A scream from Pop here, a sonically arched eyebrow from Byrne there and several well-placed Mercury-esque trumpet blasts of sound speckled throughout the set all make for a very compelling frontman, who knows his place and his role within the band. Nowhere is this brought better to the core than in “Yeah”. The synths sound like they are having a nervous breakdown, the drummer and bassist to into an epileptic rage and James Murphy sits atop it all, goading and finessing the audience, like some kind of sonic king of the castle. The subtle, insistent bass throb of “Someone Great” straight after comes as almost a relief. It sums up the album's (and the band's) true heart of heavy electro pop. By far the most textured and personal song in the LCD Soundsystem canon, slow and insistent in original album form, here the band runs riot over its every note and nuance and the end effect is superb. The sarcastic, almost nursery-rhyme like way in which Murphy infants the lyrics serves as a subtle counterfoil to the tragic meaning behind them. Is this about the death of a relationship? The death -- stillborn or through miscarriage -- of a child? Regardless of either, this song sounds as close to Murphy's (and LCD Soundsystem's) heart here as “Tears in Heaven” did to Eric Clapton on his Unplugged album. In closing, then, this is a band who are (or were) there to play strictly AT you and to go down raging at the dying embers of their own sonic light. True, some songs such as “Out in Space” go on a little too long, but this is a small price to pay for two and a half hours of joyous sonic mayhem.